Finding a cat veterinarian that both you and your cat are comfortable with is an important part of keeping your pet healthy, and we all know a healthy cat equals a happy feline. Your vet quickly becomes the first person you go to when you're concerned about your cat's eating habits, grooming, or any significant changes in your cat's behaviour. Whether you're welcoming a kitten into your home, or moving to a new city or country, finding a cat veterinarian is like finding a doctor for your family. Here are some tips to make the search a bit easier. Some of the best people to ask about a cat veterinarian in your area are other cat owners. One of the great things about getting a personal recommendation is that you can ask all the questions you need to find out if that vet is right for you and your cat. Now the problem is where do you find these other pet owners? Well the first step is to ask around. Maybe someone at work has a cat that just hasn't come up in conversation over lunch, or maybe that friend you met at the gym has a friend who has a couple of kittens. Personal recommendation is one of the best ways to find any type of doctor, wouldn't you agree? What's Wrong With The Phone Book? The phonebook is a great, but sometimes forgotten way to get a list of numbers of veterinarians in your area. Prior to calling, make sure to make a lists of questions, here are a list of important questions to ask your new cat veterinarian. One thing that attracted us to our vet was that when I first called, with our list of questions, a very friendly secretary informed me that the vet would be happy to answer my questions and would call me back within the hour. Not only did our veterinarian call back in that time line, he was also both knowledgeable and patient. Another thing that we really love about our vet is that he makes house calls. So in a situation where your cat is feeling ill and you would prefer not to move him/her around too much or your kitty is in one of those moods and your finding it impossible to get him/her into the carrier, it's always nice to be able to have your vet come to your home. Although home visits are always more expensive, at times it is worth the additional cost. 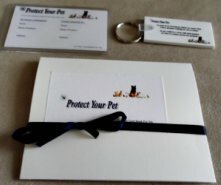 If you reside in the US or Canada, you can visit www.vetratingz.com to not only find a vet in your area, but to also read reviews and recommendations on different pet hospitals and Veterinarians. We were recently at our favourite pet store, buying cat food and okay I will admit it, another cat toy, and at the check out counter they had business cards for both local groomers and veternarians. 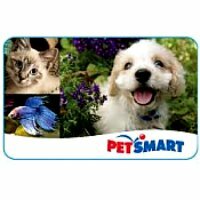 The cashier and store manager are also great resources to find out about vets in the area, since most of them are pet owners themselves. 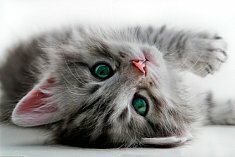 Most, if not all cats hate going to the vets, read to find out different techniques to make the vet appointment less stressful on your cat. A good way to find a cat veterinarian in your area is to call your local Humane Society or local animal shelter, their numbers can be easily located in your phone book or online. The Humane Society and animal shelters both work with local vets on a daily basis,so they have several numbers to both local vets and emergency services for pets. How To Administer Medicine To Your Cat - Several Different Creative Ways To Administer Medication To Your Cat. Choose One That's Right For You And Your Feline Friend. 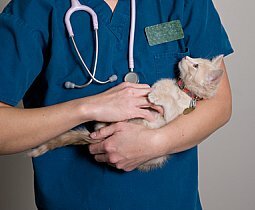 Cat Health Insurance: Pros And Cons - A Discussion On Both The Positives And Negatives Of Getting Cat Health insurance. Feline Herpes Virus: Causes, Symptoms And Treatments - Learn about the different symptoms that your cat may display and the effective treatment options for feline herpes virus.